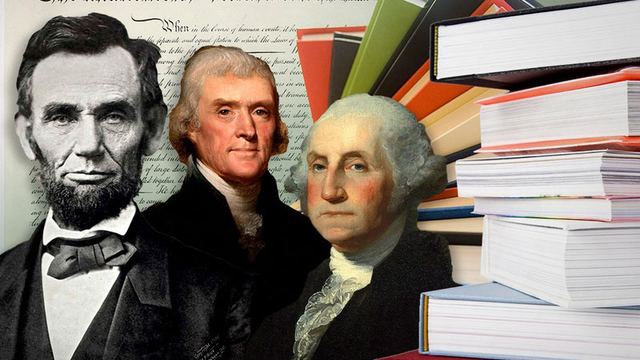 Does AP U.S. History Contain Common Core? Hey, Texplainer: If high school students take AP U.S. history, does that mean they are studying Common Core? I thought that was illegal in Texas. State lawmakers reiterated objections to Common Core during the 2013 legislative session, passing a law prohibiting it from the state’s classrooms. After the legislative session, Attorney General Greg Abbott backed lawmakers up, issuing an opinion emphasizing that school districts may not use Common Core to teach Texas students. But anxiety over the potential presence of Common Core in Texas classrooms continues — currently with the new Advanced Placement U.S. history curriculum that school districts are preparing to roll out this year. Conservative education activists have expressed concerns that the new framework for the course issued by the College Board, the organization that administers AP courses and exams that allow high school students to earn college credit, is based on Common Core curriculum. The new U.S. history framework is the first of what will be updates to all 34 AP subjects offered as a result of a redesign effort launched by the College Board in 2006. Those who express concern over the updated U.S. history curriculum cite two main reasons. The first is an overlap in leadership at Common Core and the College Board. David Coleman helped develop the Common Core’s English curriculum before he assumed his current role in May 2012 as president of the College Board and has expressed a goal to align the AP program with the Common Core. The second is a perception that the new AP standards undermine state standards. Ken Mercer, a San Antonio Republican on the State Board of Education who has been outspoken against the new AP U.S. history standards, says that Coleman has used his authority at the College Board to do an end run around state standards. At the board’s July meeting last week, he proposed that the state delay offering the updated course until officials could determine whether the course would be violating the new law prohibiting the nationally developed curriculum standards. “This unelected body is rewriting United States history and promoting among our students a disdain for American principles and a lack of knowledge of major American achievements .… If we do nothing, this radical AP U.S. History course will enter our high schools this fall. Join me in … demanding that Members of your House and Senate and State Board of Education immediately rebuke and reject." Among Mercer’s objections were lacking mentions of military heroes, founding fathers and prominent civil rights leaders. Whether the AP program reflects Texas curriculum requirements could be a matter for policymakers to debate — and at their July meeting, State Board of Education members said they would consider passing a resolution requiring AP classes to cover the state standards set by the board. But if board members object to the new AP U.S. History course, it shouldn’t be because it is a back door for the Common Core to infiltrate Texas classrooms. That argument comes up against a serious roadblock: Common Core standards only exist for language arts and math, meaning it’s not possible for AP U.S. history to cover the Common Core. The initiative, which was spearheaded by the Obama administration but overseen by the bipartisan National Governors Association, never aimed to address social studies or science standards. McGrath added that plans to redesign standards for AP U.S. history began in 2006 — pointing out that was well before the launch of Common Core — and was released publicly in 2012 before Coleman became president of the organization that May. Bottom line: While opponents of Common Core targeting AP U.S. history courses are motivated by a larger concern that the College Board could be undermining state-developed curriculum through the AP program, the Common Core initiative only developed standards for reading and math, not U.S. history.